Join us for the Spring Natives Nursery Open House. We will have native plant experts on-site, ready to answer any questions you may have and help select the best native plants for your yard. Also learn tips and tricks for making your home and yard bird-friendly. A special open house discount will be given for the event. So stop by to shop and learn all about our real-deal native plants! 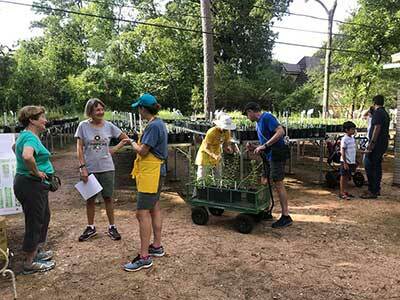 The Natives Nursery is located at Houston Audubon’s Edith L. Moore Nature Sanctuary. We welcome you to join us any time between 8 am and noon. Parking for this event will be at Memorial Drive United Methodist Church.